If you are an avid internet user (you probably are), you have benefitted from caching over and over again. But, you might not know when or how it is working its magic behind the scenes. From a developer’s perspective, caching makes it much easier to build high-performing web apps and web servers. Instead of needing to constantly optimize servers that are overwhelmed by thousands of requests, developers can implement caching protocols to make life much easier. Since caching might make a difference between 1 second to load a page and 2 seconds, the impact can feel a little bit…underwhelming. But, it’s necessary if you want to handle a high volume of users. After using caching in a past web app, I realized that there had to be a better way to explain it than just walking through the terminology. 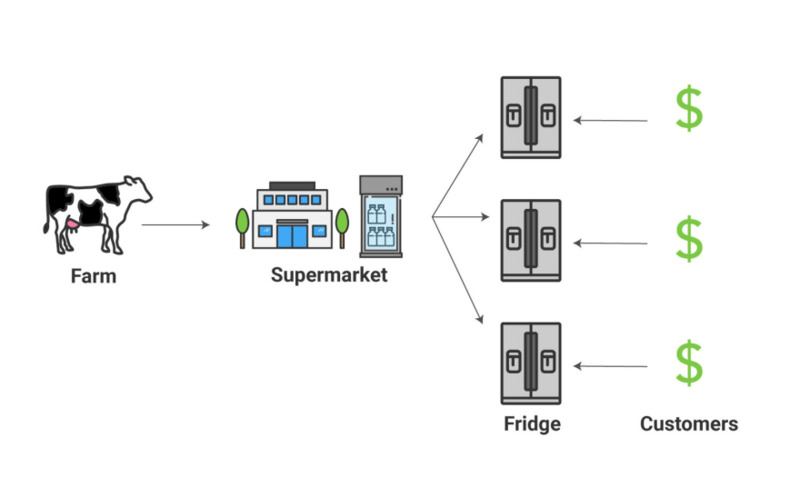 I noticed that it aligned very well with the pathway of milk from a farm to your refrigerator, so I figured that would be a better way to explain it. In order to understand this guide, you just need to know about the basics of web servers. Let’s get into it! What would the internet look like without caching? Before we get into caching, let’s think about what the internet would look like without caching. Imagine, for a moment, that you are living in the 1700s or 1800s in a rural area. You own a farm, and there is no refrigeration available. You have a few cows on your farm, but their milk is not nearly as valuable since it will spoil quickly. Quick interruption: Some cultures still do not have access to refrigeration. They will either drink raw milk directly from a cow’s udder, or mix milk with grains and let it ferment. Interesting. ANYWAYS, you want to sell your milk to others in your village. But, they will have a very limited time to drink the milk. Let’s say that one of your cows can produce a gallon of milk per day. But, if too many people show up to your farm looking for milk, you will need to send some home and ask them to wait til the next day. Also, you can’t even think about adding more cows and scaling up your operation since you have such limited distribution. Only the other members of your village can buy your milk. You have some clear limits. A server, by default, must submit a new response for every incoming request. But, a request to load a page could actually mean 4 separate requests — one from each of the categories above. When you take into account larger image files, your servers can become overwhelmed by users all over the world. Then, users will experience slow load times as they wait for their page to load. Ideally, you would want to ease the demand on your servers by storing responses to common requests. Your server would not need to handle each new individual request, but instead, your cache could deliver an immediate response. You could always pay for more servers, but that can lead to uncontrollable expenses. 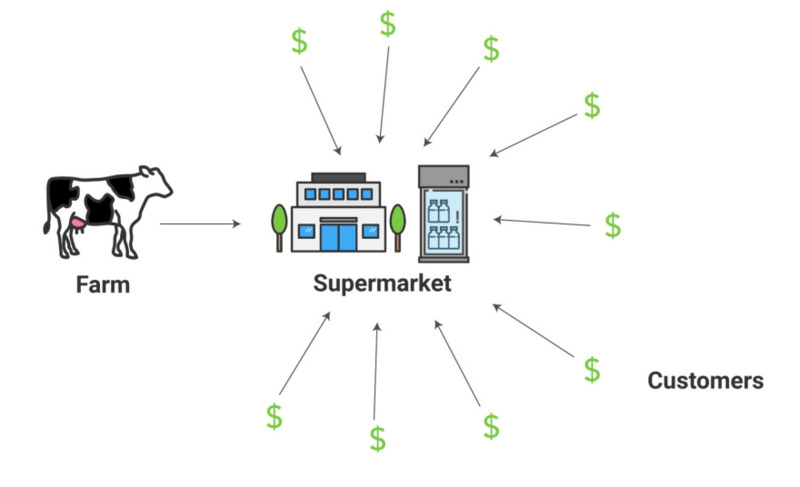 Just like a supermarket, a server-side cache will handle popular requests and deliver content much more quickly and reliably. In the image above, I use the term caching proxy. 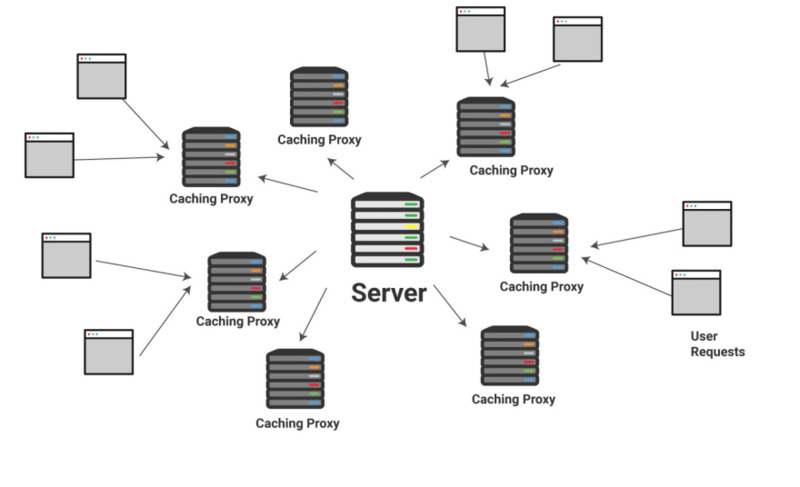 A caching proxy is a server that stores the static files that are used to respond to common requests. 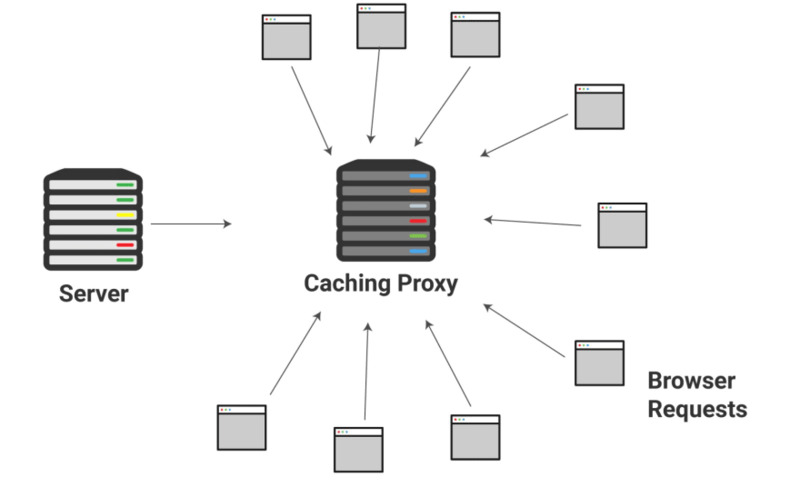 A caching proxy will intercept common requests and quickly deliver a response. It prevents those requests from stressing your main web servers. What determines a “popular” request? How long will the proxy cache the responses? That would require a longer tutorial on setting up caching, but for now, you should know about one important concept called freshness. 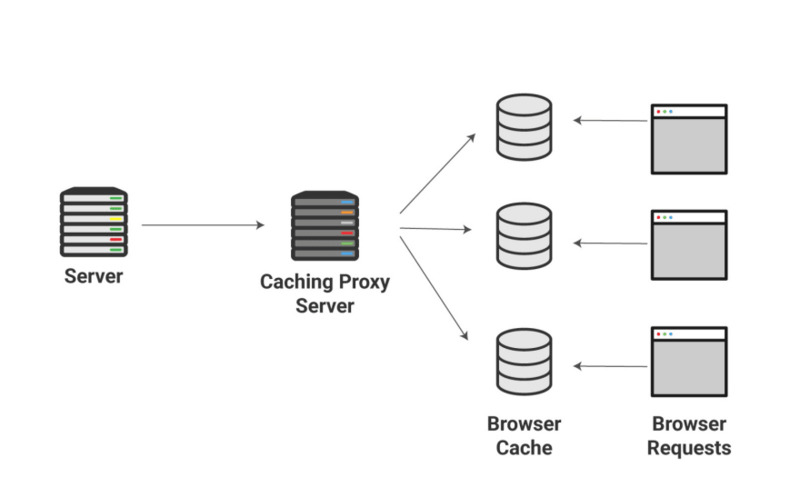 The caching proxy will have different files that have been cached at different times, and it needs to decide whether it should still serve these files. This will depend on your caching policy. This also works just like milk in a supermarket. A supermarket manager needs to decide how long they will hold your milk before throwing it out. Caching proxies measure their success through a cache hit ratio — the percentage of content that can be served through the caching server. If you are located in England and you are trying to load a file cached in a server in Virginia, you will experience some delay since the original signal can only travel so quickly along thousands of miles of cable. A local caching proxy in the United Kingdom would allow the site to load faster. So, your servers can send a copy of static assets to each of these proxy servers within your CDN network, and they can handle local requests until the assets are no longer “fresh”. Some common CDN providers include Rackspace, Akamai, and Amazon Web Services. Now, people across the country (or the world) can bring home cold milk from your farm. There’s just one issue — they have no way to store it in their own homes. Your customers still need to drink the milk pretty quickly after they buy it, and then return to the grocery store for more. So, this system still doesn’t serve customers particularly well. With a fridge, you can store the milk locally and avoid a return trip to the supermarket. 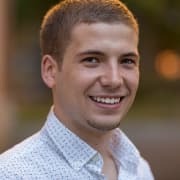 In caching terms, we’re talking about a completely separate location for storing static assets since it is on the client-side, or on the same computer as the browser. Our proxy server was located in a remote location. This is great for sites like Facebook or Amazon that you might frequently visit. It’s great for their server costs too, since they can reduce the number of requests they need to handle. Well, just like milk producers put a date on their milk packaging, servers will add some sort of identifier within the HTTP response header. There are actually 4 separate systems for HTTP caching. The scenario shown above closely resembles the “expiration date” method. Some of the other methods still require your browser to check with the server before sending the cached file. Let’s say that you are building your first web app. Until you have thousands of users, you probably won’t need to worry about caching protocols, since server costs will still be low. However, as you scale up, you will need to implement caching if you want your app to load quickly. Heroku, for example, is a great tool for deploying your first web app. But, it requires you to use a separate service to implement caching, like Amazon’s CloudFront or CloudFlare. That will take more time to learn. On the browser-side, you have probably experienced caching when you are trying to reload a page with new static assets, but the page simply won’t change. No matter how many times you refresh the page, nothing changes. This is usually because of some caching protocol on the browser-side. To bypass your browser’s cache and request new assets from the server, you can use Cmd+Shift+R on a Mac or Ctrl+Shift+R on PC. Did you enjoy this tutorial? Check out the rest of my visual explanations of web development topics on the CodeAnalogies blog. I can't look at supply chains without thinking caching. Being really into caching as a dev and having studied some of the supply stuff in school, I see this stuff everywhere. Wow! Yeah definitely a physical representation of caching. Did not know that still happened in the year 2016, hopefully that has changed in last 2 years. I'd heard a much more rudimentary version of this analogy but the way you broke it down made the bigger picture really clear! I like that you covered both server and browser caching, things make more sense now. Thanks for this explanation! Great post ! 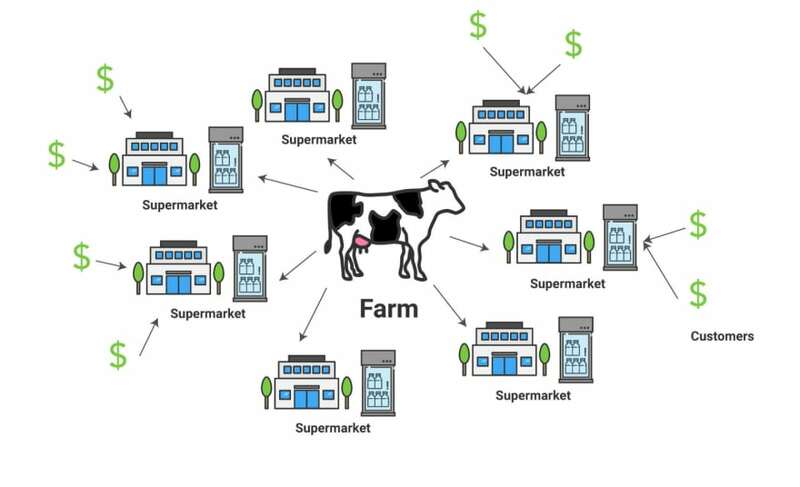 Your explication with the milk/farm is awesome, it helps a lot to understand how the cache works. This is a great article! I feel ashamed how much I didn't know about caching as a web developer. May I translate this article into Korean and share to other developers in Korea? Awesome! I was totally confused about caching before, but this makes is so easy to understand. Thanks!